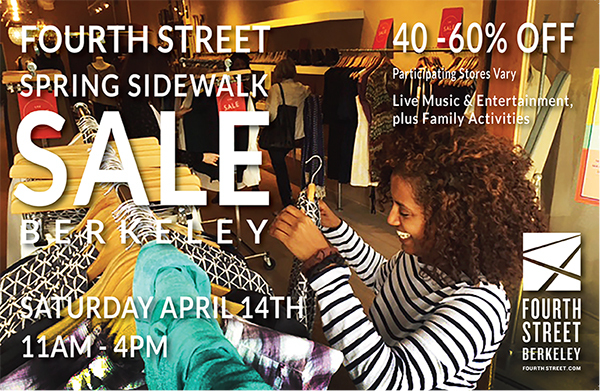 Come to Fourth Street on Saturday 4/14 from 11-4PM for a street wide sidewalk sale. Participating merchants offer deep discounts of 40-60% off selected merchandise. 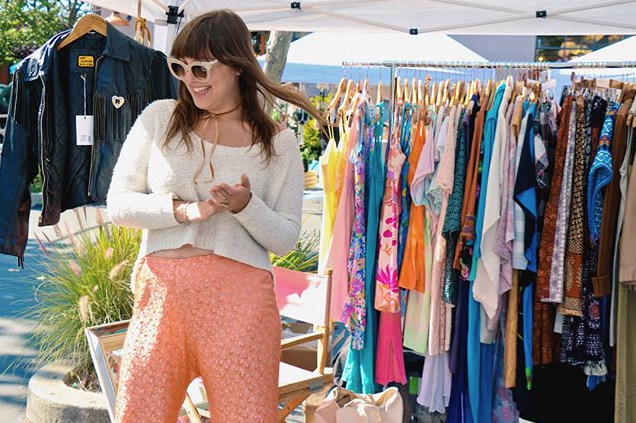 Location: small square plaza across the street from Peet's at 1776 Fourth Street. 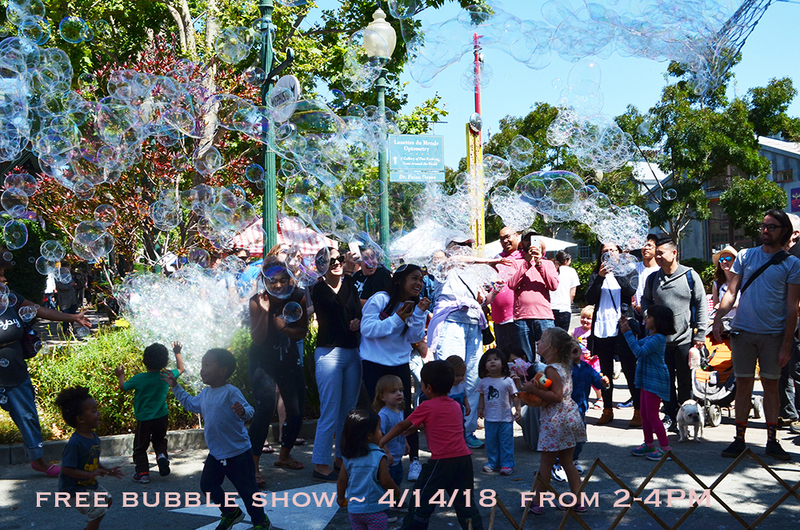 No matter your age, this bubble show is a hoot! The kids squeal and the adults do too! 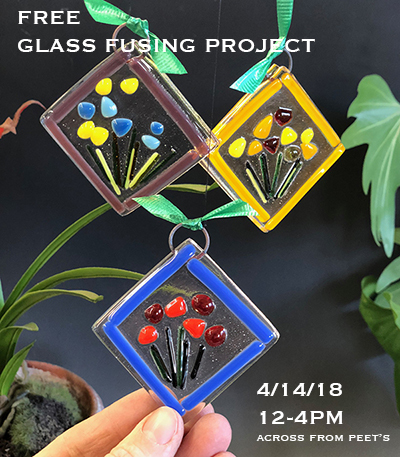 This is also a special day because Fourth Street will be hosting from 11-5PM Bouquet ~ Curated Marketplace, a gathering of the best local vintage collectors, independent designers, makers and artisans who embody timeless spirit and quality craft. This will be located in the large parking lot next to Rejuvenation. One per customer. Staff will call you a few days later to pick up your design after it has been in the kiln! 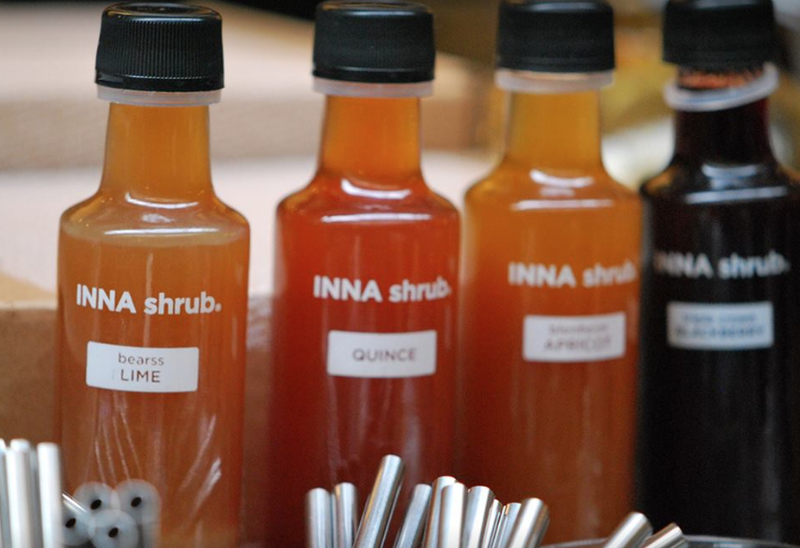 Join us on Fourth Street at The Gardener for an Inna Shrub tasting this Saturday and enjoy 25% off Inna Shrubs and select stainless steel water bottles.